Our professional web design team will give your business the edge it needs to make your Internet Marketing presence a reality and get a step up on your competition. Active Web Group will work with you to develop a Website that will deliver a high-quality; high-impact professionally designed online presence to your current and potential customers. Utilizing our full-service Internet Marketing services, your online presence will become an effective sales tool, delivering on your specified performance objectives. 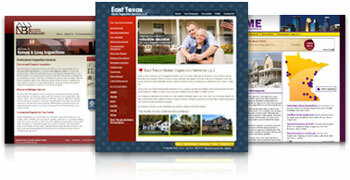 Active Web Group's Simple Editor is a Content Management System (CMS) that is truly simple. Click here to contact our sales representative! Search Engine Optimization (SEO) is the most effective and cost efficient marketing tool for any business and the key to an effective search engine optimization/marketing program is to ensure that your customers and potential customers find your business before your competition. Search engines are like any business and they make money by showing ads, this means they need to show ads to the largest number of visitors and they do that by giving them the most relevant search results. Active Web Group's search engine optimization department will work to make your Web pages the most relevant pages available for your business related keywords. Contact us today for more information on our SEO services. With over a thousand Home & Real Estate pre-written articles to choose from, Active Web Group will help you create and send professional email newsletters to your prospects in seconds. SELECT PRE-WRITTEN NEWSLETTERS Choose from thousands of professionally written newsletters encompassing a wide variety of topics. New content is added weekly. 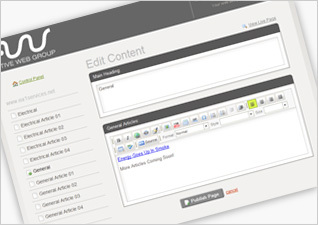 CREATE YOUR OWN CONTENT Use our wysiwig editor to send your own content or promotions. You can even have your designers use their own HTML code. EASILY MANAGE SUBSCRIBERS Quickly and easily manage your subscribers through the use of subscriber types, groups and sublists, as well as our automatic bounce handlers. 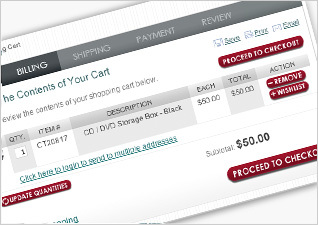 TRACK YOUR RESULTS IN REAL TIME With our proprietary reporting software, you are able to track sales, click throughs, opens, reads, bounces, and numerous other data through the use of visual charts and tables. 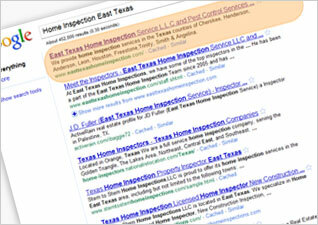 Pay per click advertising campaigns require no changes to a current site's content or look to obtain top positions. The implementation of a pay per click campaign is relatively quick- it can take just a few minutes to start getting targeted traffic. Correctly identifying and bidding on the most relevant search terms and phrases will result in greater "click-throughs," or visitors clicking on your ad and then continuing to navigate through your website beyond the landing page you take them to. 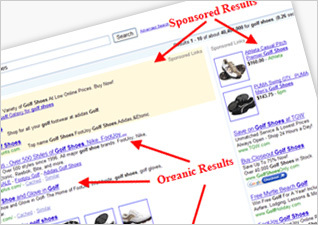 A good PPC campaign will greatly increase your website's visibility and brand recognition. Coupled with an effective online marketing package from Active Web Group, pay per click advertising will put your company's name and message in front of the very audience you're looking to attract. 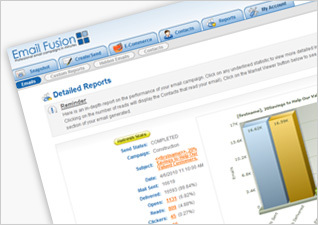 Monthly PPC Management plans begin at $499 per month. Active Web Group has a proven track record of developing the most advanced, user-friendly E-Commerce Websites and shopping cart software for online business. Active Web Group will help your Website stand out from amongst millions of others with such features as reliable web hosting, sophisticated search engine optimization and more. A custom ecommerce website design by Active Web Group will ensure that customers enjoy a rewarding user experience and search engines find your site among the many competitors.